The tax plan recently proposed by Ohio Governor John Kasich would be a massive tax shift away from well-off taxpayers to the middle-class and working poor, according to a new report released by Policy Matters Ohio that incorporates ITEP data. His plan follows similar tax shift proposals from Maine and South Carolina and shows that plenty of governors around the country are doubling down on regressive tax “reform,” despite arguments to the contrary. Taking into account the governor’s proposed changes to income and consumption taxes, the top one percent of Ohio taxpayers will receive an average tax break of $12,010, while the bottom 40 percent of taxpayers will actually see their taxes go up by about $50. Gov. Kasich has touted his plan as a measure to boost small businesses, but in reality his policy will benefit the wealthy and leave working families in Ohio further behind. Governor Kasich has proposed slashing income taxes for the second time in his administration. His new plan would cut rates by 23 percent over two years, with an immediate 15 percent cut in 2015. These cuts would cost an estimated $4.6 billion in revenue over the biennium. 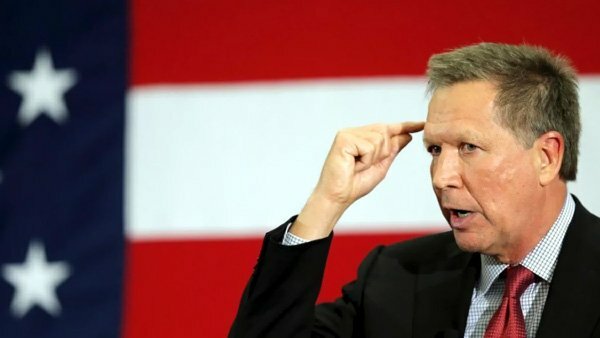 Kasich also wants to eliminate the income tax for business owners with $2 million or less in annual receipts at a two-year cost of $700 million dollars, and increase the personal exemption allowed for those with $80,000 or less in annual income. The benefits of the governor’s income tax proposals would put, on average, $13,000 back into the pockets of the top one percent of Ohio taxpayers annually, while those at the bottom would see an average $16 tax cut. Those in the middle would see a $219 tax cut on average.